Well, back to school season is well underway but it definitely has taken some getting used to for me since this is the first year I have a child in full time, every day school. The hardest part for me is having to pack my son's lunch every day. Although, I love knowing he is eating healthy, organic foods every day for lunch, it does take some extra time planning the perfect lunch every day that will keep my son healthy, energized and happy! Stop & Shop knows the difficulties you may face while trying to maintain a nutritious yet tasty lunch. But, fear no more – your local Stop & Shop is the one-stop-shop for all your back-to-school lunch essentials. Stop & Shop offers some tasty organic foods that my family has really been enjoying from nut mixes that make great snacks to oatmeal that my children eat for breakfast to Organic Almond Butter that my son loves on his sandwich in his school lunches! 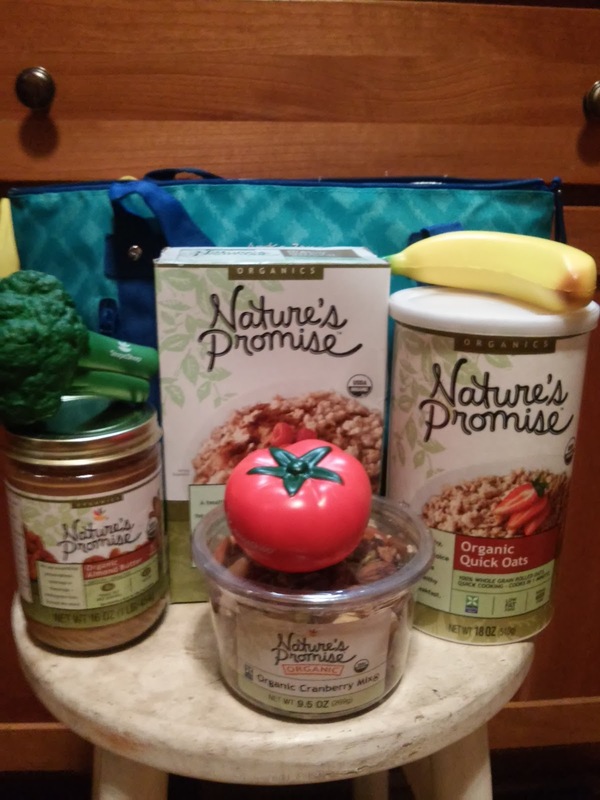 They have a great selection and it can really help inspire some tasty and healthy lunches! Stop & Shop Nutritionist, Julie Hersey, MS, RD, LDN, has put together a list of essential items along with tips and tricks to help you and your kids succeed this school year, which can be found below. · Offer a variety of nutritious foods throughout the week. · Create a menu for the week and make a list of items to purchase. · Pack lunches the night before to minimize morning rush. Getting breakfast set out helps too! · Cook extra at dinner to have leftovers for lunch the next day. · Eat with your eyes so you make sure food looks as good as it tastes by including a mix of colors, shapes, textures and flavors. · Let your kids pick their own reusable water bottle with colorful shapes and patterns. · Put drinks in the freezer the night before so they double as ice packs. · Involve kids in the packing process. By being actively involved they can learn more about healthy eating, be more likely to eat the foods they chose and develop a sense of ownership. · Look for sectioned or bento-style lunch boxes to help with portion control and offering a variety of foods. · Reusable yogurt tubes are cost effective and you can fill with a smoothie and freeze. · Include portion-controlled sweet stuff like chocolate kisses, chips or squares as an occasional surprise. You can purchase many organic products and other great lunch items at your local Stop & Shop.